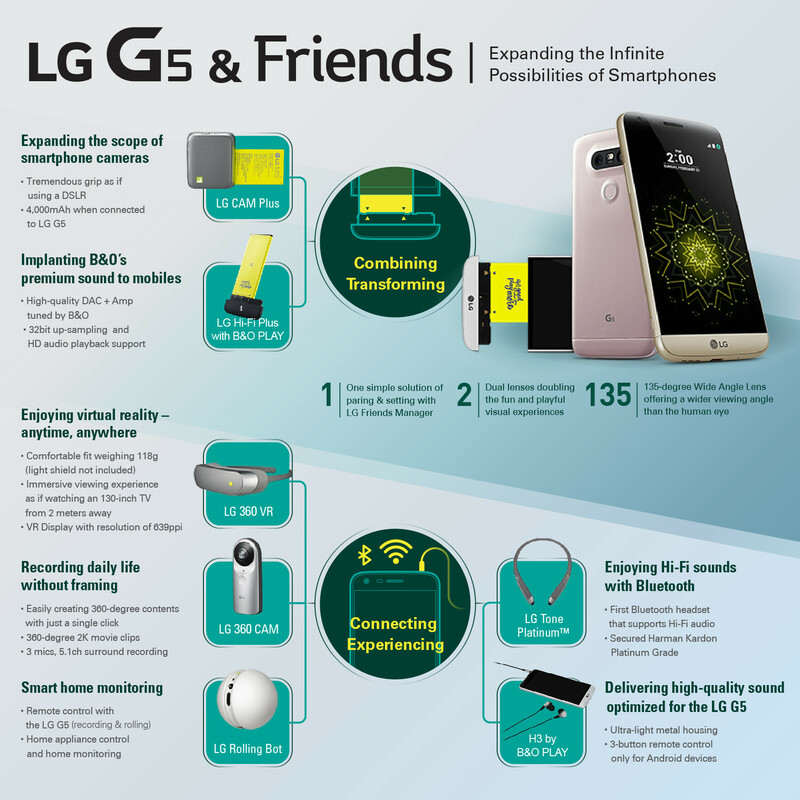 So there you have it: the LG G5 with its crazy new modular system is official and it comes with 'Friends', LG's name for the various accessories that you can easily hook up to the G5. The concept is awesome: you can not only easily swap batteries on the G5, but you can also add a separate camera module for photography enthusiasts or a Hi-Fi DAC module for audio purists. And then there are the 'Friends': separate accessories that easily connect to the device which serves as the hub to control them. What is it all about? 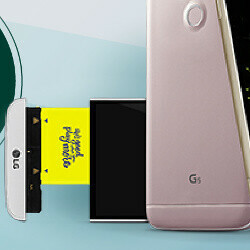 LG explains it all in a neat infographic right below. want that robot, good companion for my cat too.